Switching to solar energy might be a topic that some building owners and project managers have considered in the past but haven’t decided on entirely. Solar might be a new venture, or perhaps there’s a question of reliability, especially when there’s a necessary reliance on the sun. We’re here to quell concerns for solar outdoor lighting, especially when it comes to questions about reliability, cost, effectiveness, and return on investment. Truth be told, outdoor solar lights are more cost-effective than you may think. They’re cheaper than traditional lighting due to smaller bills because they don’t need trenching. Imagine setting up an entire lighting system of over 50 lights, trenching for each, connecting the wiring, and having to pay for each light. Well, we can save you that money and headache by offering solar! No trenching needed. We’ve saved businesses in the past several thousands of dollars for their lighting solutions because they were able to skip the pricing on trenches. The added bonus with our solar outdoor lights are that we combine them with Cree LED bulbs. A combination of using high-output, low-energy consumption light bulbs with a solar panel means that you’re getting the most for your energy–all while paying a very low energy bill of zero dollars. Put that money towards further business development, or hold an office party to celebrate opening doors. Outdoor solar lighting comes with hidden benefits that you’ll have to plunder. State and federal tax credits are available, and these can earn you money back to put further into business development. It takes a small bit of research on your part, but think of the potential return-on-investment with such an effort. If your solar lighting costs you 30-thousand and you do the tax paperwork to save you 30 percent, you basically filled out forms to earn 9-thousand dollars. A bit of a sweet little deal, but it takes the knowledge and effort in order to earn that money. We like to think of ourselves as the best money-savers for businesses on the block. If you have a lighting project on the horizon for your building, look into solar. You’ll be surprised to find out how much money the sun can save and make for your business. Contact us to learn more, or read up on how LEDs have developed if you wish. Next Post Want a Thousand Dollars for College? 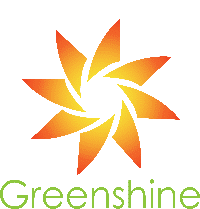 Apply to the Greenshine New Energy Scholarship for 2019!